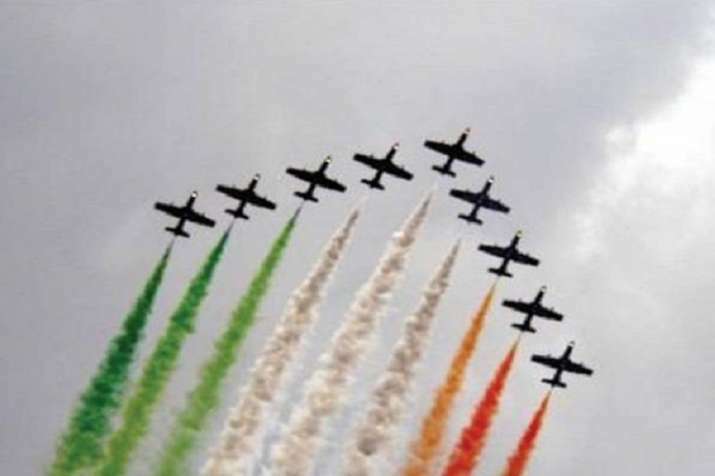 The event, tipped to be the country's biggest air show will be held in Bengaluru from February 20 to 24 next year, the Ministry of Defence announced. Aero India is a biennial air show and aviation exhibition held in Bengaluru at the Yelahanka Air Force Station. The Defence Ministry on Saturday announced that the next edition of the biennial Aero India air show would be held in Bengaluru from February 20 to 24, 2019. With this announcement, the uncertainty over the venue of the event has formally ended. "This five-day event will combine a major trade exhibition for the aerospace and defence industries with public air shows. Besides global leaders and big investors in aerospace industry, the show will also see participation by think-tanks from all across the world", the ministry said in its statement. The uncertainty over the venue began last month after Uttar Pradesh Chief Minister Yogi Adityanath had appealed to defence minister Nirmala Sitharaman to shift the venue of the Aeroshow to Lucknow. While Union Minister Ananth Kumar claimed that Uttar Pradesh lacked the necessary infrastructure to host the event, Uttar Pradesh's Aviation Minister Nand Gopal Gupta Nandi averred that the state which is capable of conducting the Kumbh Mela can host the Aero Show as well. Last month, Karnataka Chief Minister HD Kumaraswamy had written to Prime Minister Narendra Modi, seeking his approval to conduct Aero India show-2019 in Bengaluru.